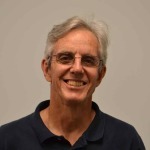 Bob is presently the coordinator of recreation therapy at MUSC’s Institute of Psychiatry. He has worked there for over thirty years, and has been involved in the treatment of inpatients and outpatients with mental health and substance abuse problems. He has also been on the boards of several national and regional nonprofits associated with the field of recreation therapy. Through these professional experiences, Bob brings to the board skills in interpersonal relationships, verbal and written communication, board knowledge, and wellness. Additionally, his passions for natural and human history, sailing, and writing came together with the completion of two books related to Cape Romain, and an ongoing blog. He has done regular service work for Cape Romain National Wildlife Refuge, including participation in the loggerhead program, and therefore also brings knowledge of our federal partners, and relationships with staff and volunteers. Bob resides in Awendaw, and has a great love for the Lowcountry and a commitment to stewardship of its natural and cultural resources. 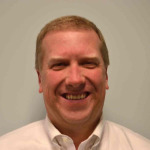 Bill Jarrard, CPA, offers a breadth of public accounting and corporate financial experience, including experience with a Big Four accounting firm and working with Fortune 500 level corporations. As Treasurer of the board of Friends of Coastal South Carolina he offers expertise in the areas of nonprofit accounting and tax. He earned his Master of Professional Accountancy from Clemson University and a Bachelor of Science degree in Accounting from the University of South Carolina. He has also served on the finance committee for the Charleston Metro Chamber of Commerce and received the Charleston Regional Business Journal’s Forty Under 40 award in recognition of individuals under the age of 40 who have made outstanding accomplishments in, and contributions to, the Charleston business community. 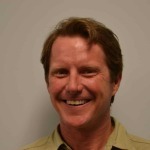 Chris is currently the owner/operator of Coastal Expeditions. He has been serving the mission of “environmental stewardship through immersion” at Coastal Expeditions since 1994. This mission also includes the Bulls Island Ferry service as Contractor for Visitors Services in Cape Romain National Wildlife Refuge (CRNWR). Chris has had the opportunity to work as a naturalist interpreter and Master Captain on the east coast of North America from Newfoundland to the Exumas for groups including Lindblad Tours, REI Adventures, and National Geographic. He is a kayak instructor specializing in surf zone navigation and rough water group rescues. Chris is an environmental program and itinerary writer with a focus on youth groups and multi-day primitive adventures; programs include:The Bulls Island Overnight Adventure, Island Quest Program, REI Capers Island Adventure, and Young Naturalist Kayak Adventure Camp. Chris is a South Carolina native and lives with his son Graham on the edge of Cape Romain NWR in Awendaw. George Geer is a native South Carolinian. He is a graduate of Kingstree High School, Wofford College, and University of South Carolina Law School. He served in the United States Army for two years. George was President of Andrews Bank and Trust Company until its merger with Citizens and Southern National Bank. He then practiced law with Hinds, Cowan, Strange and Geer in Georgetown, SC. George brings with him a wealth of experience in education and the nonprofit world. He has served as Chairman of the Board of the Georgetown School District, Chairman of the Belle W. Baruch Foundation, President of Georgetown County United Way, Chairman of Black River District of Boy Scouts of America, on the executive committee of AMI Kids and on the Georgetown County Development Commission. While serving on the Coastal Community Foundation Board George became impressed by the SEWEE Association and its programs. Later as a board member of the Frances P. Bunnelle Foundation he became more informed about the work of the SEWEE Association and its expansion to serve Waccamaw National Wildlife Refuge. 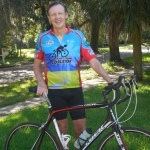 George is an avid cyclist and he and his wife Betsey enjoy living on the edge of Cape Romain National Wildlife Refuge in McClellanville SC.